Prime Minister Dr Mahathir Mohamad will be conferred "The Grand Cordon of the Order of the Paulownia Flowers” by the emperor of Japan during his three-day working visit to the “Land of the Rising Sun” that begins tomorrow. Malaysian ambassador to Japan Ahmad Izlan Idris said the conferment of Japan’s highest award by Emperor Akihito which will take place at the Imperial Palace in Tokyo on Tuesday follows the huge contributions by the prime minister in strengthening bilateral ties. 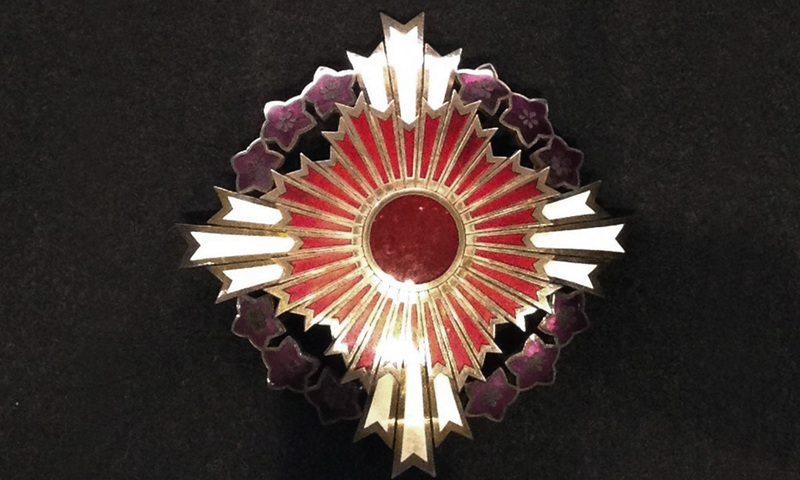 “Traditionally this award is given to foreign leaders like prime ministers and statesmen from within and outside Japan,” he told Malaysian journalists. Mahathir is the third leader from Asia to be conferred the prestigious award after former Singapore prime minister the late Lee Kuan Yew and former Indian prime minister Manmohan Singh. “The prime minister and his wife Dr Siti Hasmah Mohd Ali are also scheduled to attend a luncheon with the Emperor and Empress of Japan on Wednesday at the Imperial Palace,” he said. 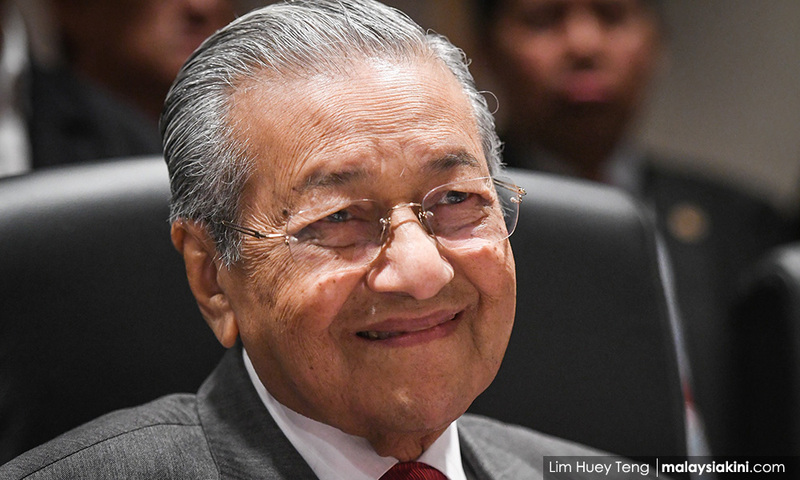 This will be Mahathir’s third visit to Japan after becoming Malaysia’s prime minister for the second time following the country’s 14th general election on May 9. The first was in June and the second in August. Ahmad Izlan said that after receiving the award on the second day of his visit, the prime minister and his delegation are scheduled to have a meeting with his Japanese counterpart Shinzo Abe in the latter’s office. “Both prime ministers will discuss bilateral ties and regional and international issues of common interest,” he said. He said that on the second day, Mahathir is also scheduled to attend the 36th Japan-Malaysia Economic Association (Jameca)-Malaysia-Japan Economic Association (Majeca) Meeting and Malaysian Business Forum in Tokyo. On the first day of his visit, the prime minister will be conferred an honorary doctorate by Tsukuba Universiti of Tokyo, which is the highest recognition by the university, for his contributions to advance international exchange in the field of research and education. On the third day, Mahathir will deliver a keynote address at Tokyo University here and interact with Japanese youths, particularly students of the university. “The prime minister is the honorary advisor of the Asia Public-Private Partnership of the university,” he said. During the three-day working visit, the prime minister will also be accompanied by foreign minister Saifuddin Abdullah, Education Minister Maszlee Malik and International Trade and Industry Minister Ignatius Darell Leiking. 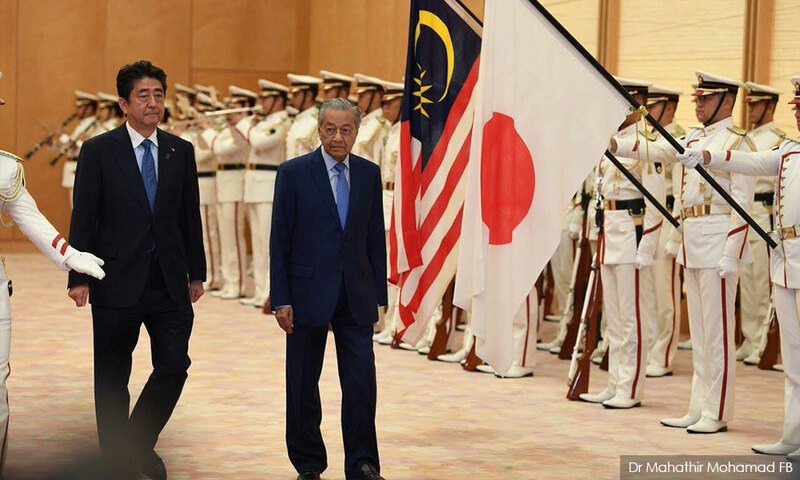 Meanwhile, the Foreign Ministry in a statement said Japan is a key trading partner of Malaysia and it is Malaysia’s fourth largest trading partner. “For Japan, Malaysia is its eleventh largest trading partner in the world, and fourth among Asean countries after Thailand, Vietnam and Indonesia,” it said. The ministry also said the prime minister’s visit to the two universities is part of Malaysia’s effort to attract Japanese universities to set up overseas branches in Malaysia. “The establishment of Japanese university overseas branches in Malaysia will enable Malaysian students to have access to the Japanese education system at a much lower cost. At the same time, students could also learn the Japanese language, values and culture. This would also benefit students from the region,” it said.